I wrote my first “favorite Houston brunches” way back in May 2015 as one of my first posts on this website. So much has changed since then and as you can imagine, I have visited a lot more Houston brunch spots. 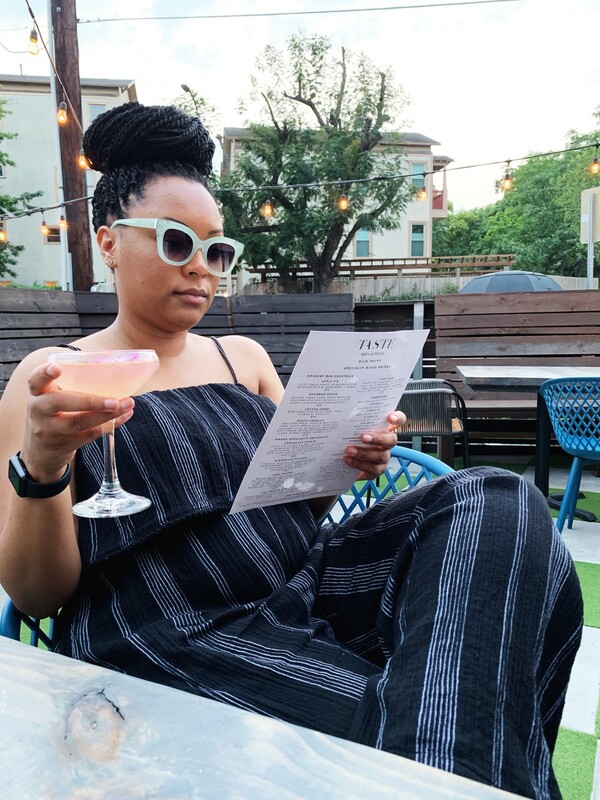 So now I am back with an update to the list, “Black Girls Who Brunch: Favorite Houston Brunches” just in time for the influx of Super Bowl visitors :). Since I am loyal many of the spots are the same since the last list, but I had to add some new favorites. Just like last time, I am not claiming these are the BEST in Houston. These are just my personal faves and the spots that I would always recommend to a friend. Since I consider you all friends as well, I wanted to make a point to share these with you guys :). Adair still makes my list because their food is simply delicious and they still maintain a good price point. Business has definitley picked up since the last time I wrote about Adair so there is often a line when I visit now. So to avoid that, I often order on Uber Eats and brunch from home. Brunching from home with Adair. 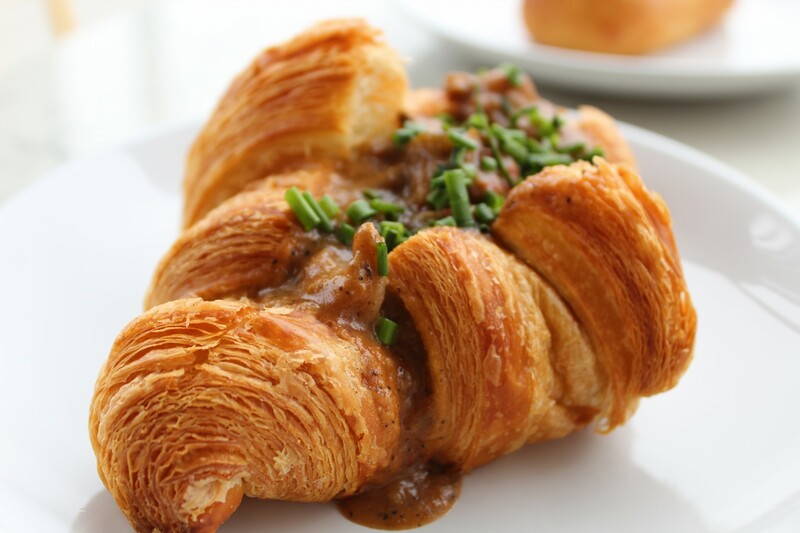 While a pricier pick, their brunch buffet is certainly worth it! Situated in a house near midtown, you feel as though you are dining in your Southern grandmother’s kitchen while here. The buffet is filled with great dishes like red velvet pancakes, shrimp and grits and fresh fruit. This is definitely a spot to stop by when you are feeling fancy. So Snooze is not native to Houston, but we have adopted it and made it our own! This diner hails from Denver and after one visit you can see why locations are popping up nation wide. I complain about the line yet I continue to go back and that is because the food is just that good! They offer so many variations of pancakes, french toast and even hash browns. The fun colors and inventive menu also make it a great spot to bring the kiddos. 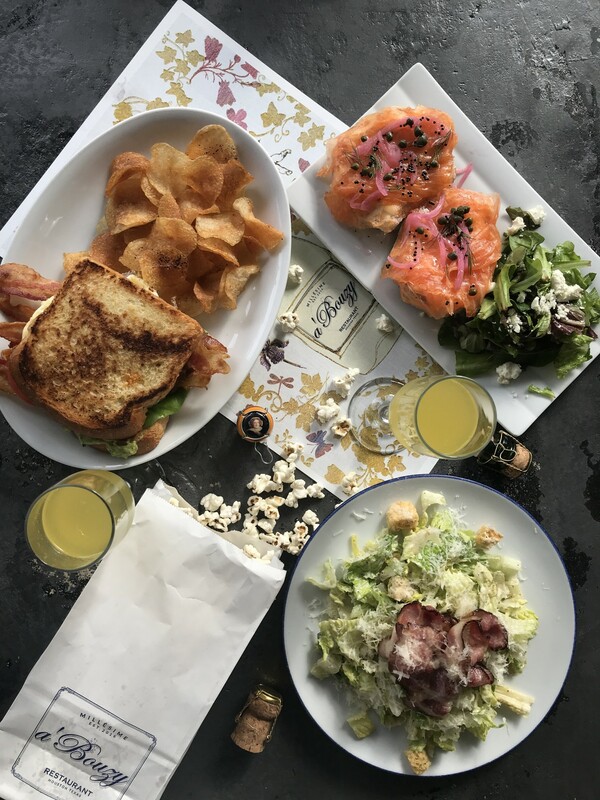 So I will admit that I have not actually eaten at Etta’s 5015 brunch pop up, but I have been to 5015 and tried Etta’s food at another pop up. From both of these experiences I can tell you that Etta’s is where you need to be for Sunday Funday. You will definitely enjoy great food, a good crowd and of course great music! Y’all know I love Lucille’s, so it should be no surprise that I would label this as a favorite brunch spot! I have taken family, friends and co-workers here for brunch and everyone has walked away thoroughly pleased. The most popular dish among all of these groups was the croissant french toast with a side of friend chicken. This honestly keeps me coming back! Both locations always give me, Real Housewives of Beverly Hills vibes, so when I want to brunch with the likes of Lisa Vanderpump this is a good spot to go. For real though, both locations play up their garden settings and focus on good fresh foods. Of course, the highlight for me are their baked goods! A cinnamon roll from Tiny’s. DIVINE. Never trust a Houston brunch list that does not include the Breakfast Klub okay?? While their menu does not feature mimosas or other spirits you still will get the best wing and waffle combination in the city. 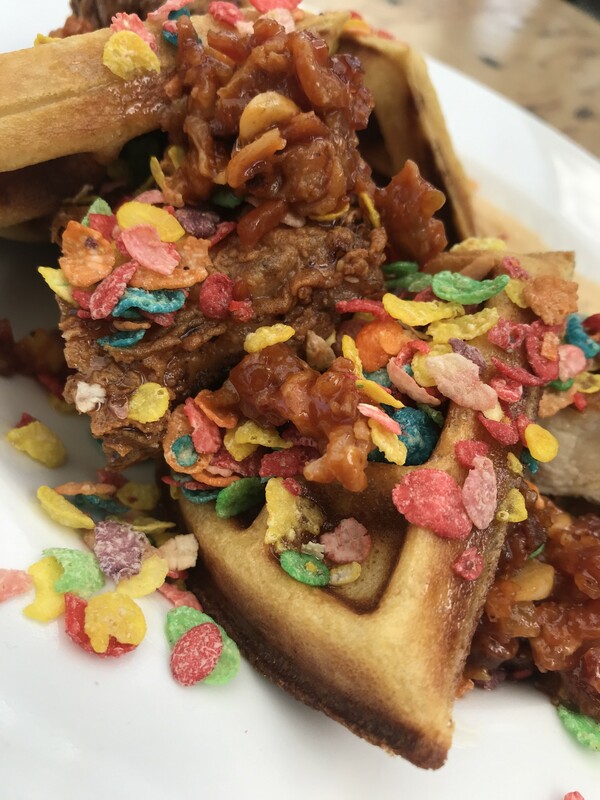 Let me also note that I have visited that place out in Cali that claims to have invented this breakfast combo and the Breakfast Klub is absolutely better. In short, if you are visiting or new to Houston, go ahead and endure the line so you can see that the hype is well deserved. For like five seconds I considered removing Max’s from my list. As my knowledge of the Houston food scene expanded, Max’s stopped being one of my goto spots. Well I went back a few weeks ago for brunch and Max’s showed once again why it remains one of Houston’s favorite brunch places. The menu has been revamped and my favorite creme brûlée french toast is now an apple cinnamon french toast. It is STILL good. The french toast that I still LOVE! 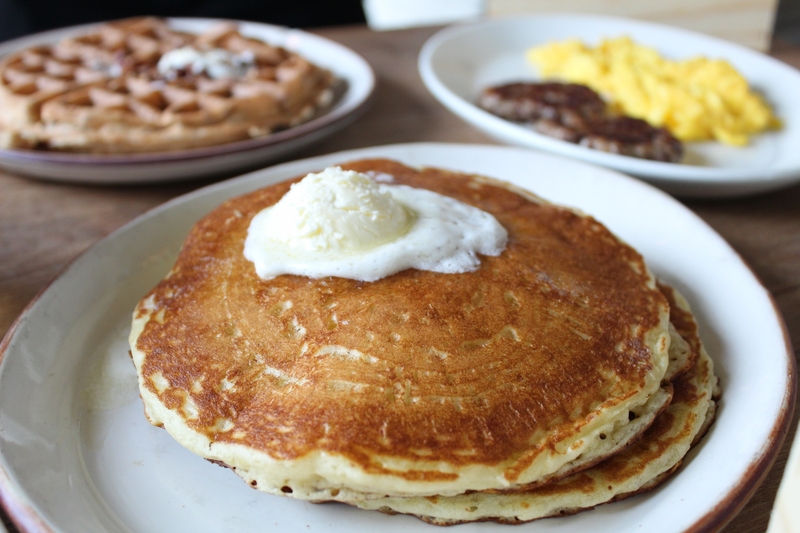 What are your go to brunch spots in Houston? Make sure you to comment with your faves! Weights + Measures is everything for brunch! Dinner menu is mehhh but I love brunch!! I need to go back to their brunch. Last time I went (and shared it on the blog) I ordered the pizza and it was really good! I also like that Slow Dough is right outside of it.